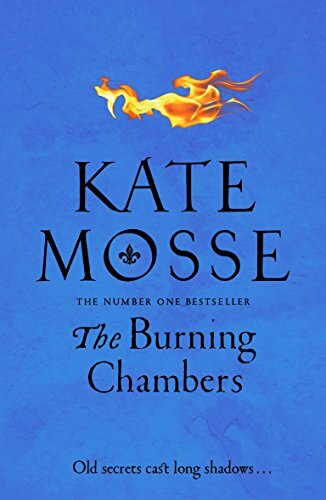 I remember reading Kate’s Labyrinth years ago, but haven’t read any of her books since then but I enjoy historical fiction and was keen to read this. I don’t know much about the religious divides of this time in France, I know more about UK history for this time and thought I’d enjoy reading about it. As in UK when there were religious controversies and changes, its a particularly gruesome time, where people were taken for spurious reasons and tortured at will. Its weird isn’t it how we think torturing someone for a confession will bring out the truth…. Sadly though I found the book incredibly slow starting, and though the pace did pick up I never got really engrossed in the story. I felt kind of bogged down by detail at times and had to put the book aside. That’s unusual for me, I love details, I love the little nitty-gritty intricacies of people’s lives, but in this book I felt that it just didn’t work for me. If you’ve an interest in french/religious history this may appeal to you, I certainly expected I’d love it but…It’s well written and has all the elements for a good read for me but was one of those where the story and I just didn’t gel. I’m not really sure why, just that I found it a struggle to keep reading and eventually I was just pleased to have finished. I won’t be reading further books in this series but would happily pick up another of Kate’s stories, even when you usually adore an authors work there’s always the chance some won’t suit. Stars: Two and a half, I enjoyed parts but overall it wasn’t a hit with me.